Giro designed the Montaro MIPS to have full goggle integration, with strap grippers on the back of the helmet, and a P.O.V. Plus™visor that allows you to lift the visor and place your goggles on the front of the helmet. Yet another great feature is the full camera mount integration – a clever break-away interface for your favorite light or camera. Not tried it in anger yet but feels a really good fit and not too heavy. Price was amazing, less than the Giro crash replacement price! Great service from Merlin as usual. 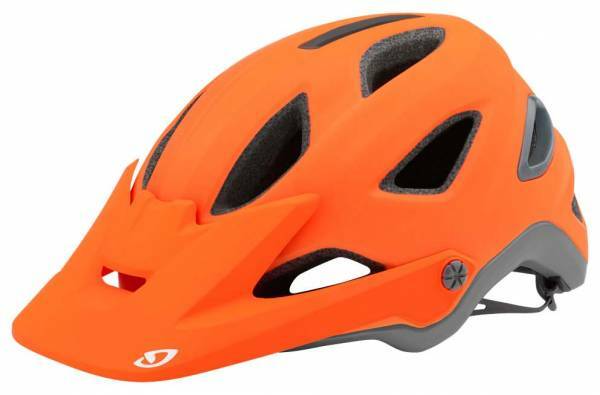 I personally find all Giro helmets to be very comfortable, very durable, good-looking and well-made. Montaro is no exception. Not the lightest helmet I have, but when wearing you can't really tell. It is well vented, better than my TLD A1 and as comfortable if not even more than it. This is my every day helmet now. Quite happy with it. I like the color as well (matte frost). Quite unusual for a helmet and yet very attractive to me.